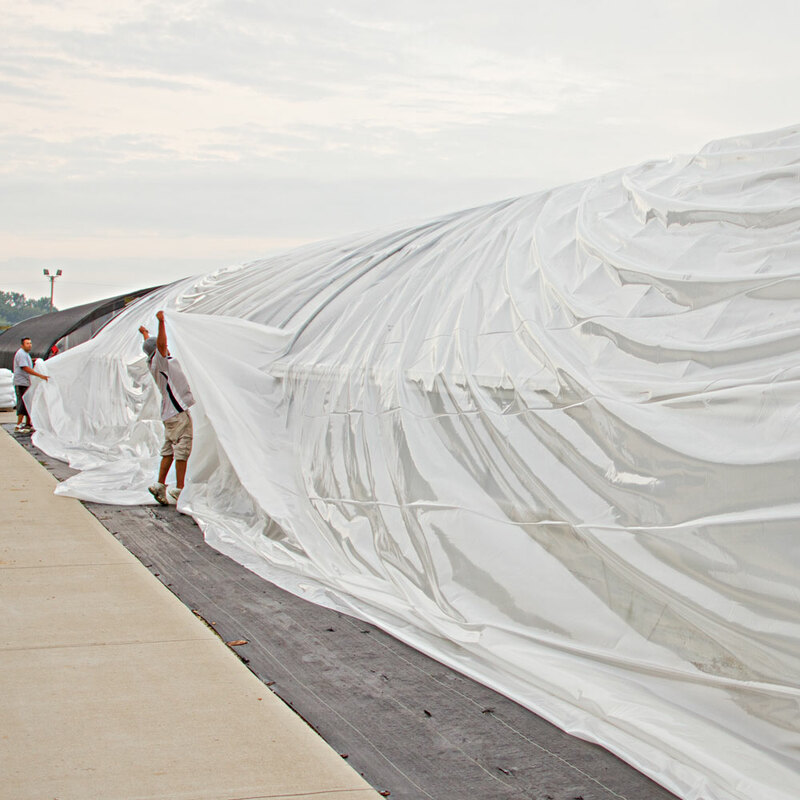 Greenhouse Plastic - 6 mil UVA Inhibitor Clear Film, Anti-Drip 40" x 100"
This pricing is for a 40' x 100' size piece. This can make a large greenhouse or two smaller hoop houses. IRAD (Ginegar Sunsaver) - This is a 6 mil 40" x 100" greenhouse grow film that offers the same UVA protection for a typical 4-ye..
IRAD (Ginegar Sunsaver) - This is a 6 mil 40" x 100" greenhouse grow film that offers the same UVA protection for a typical 4-year lifespan as well as additional additives. The “IR” additive prevents heat radiation loss inside the greenhouse, and the “AD” additive raises the surface tension of the film to improve light transmission and prevent dripping from condensation. Ginegar greenhouse film has the 5-layer advantage that you will not find anywhere else. This is the best film that will give you poly peace of mind. It is engineered by an exclusive system that mixes UVA inhibitors, an anti-dust barrier plus other additives throughout each of the five layers. The additives are deeply embedded and our Ginegar film will outlast any other brand out in the sun, rain, wind and snow! Please call 586-771-6500 for pricing/info on sizes not listed here.